These gorgeous pieces are brought to you straight from Italy. 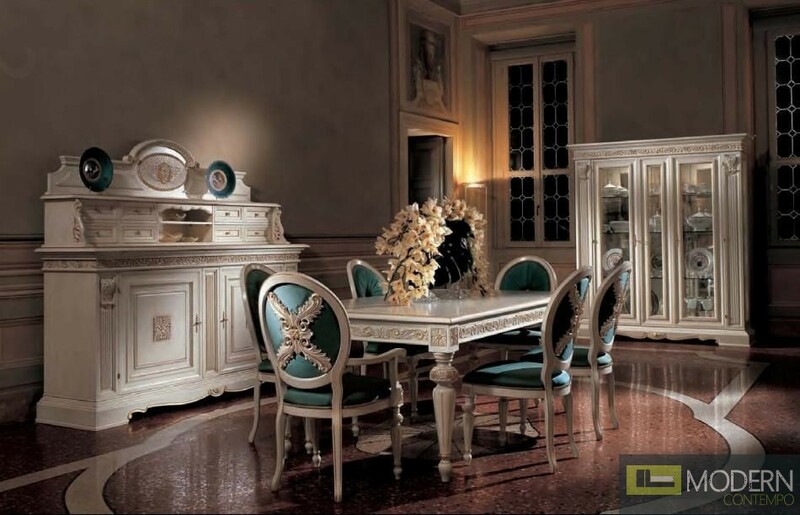 The San Marco Exclusive Dining Set Collection consists of an extendable dining table, a set of dining chairs, a triple-decker display buffet, and a two door display cabinet. 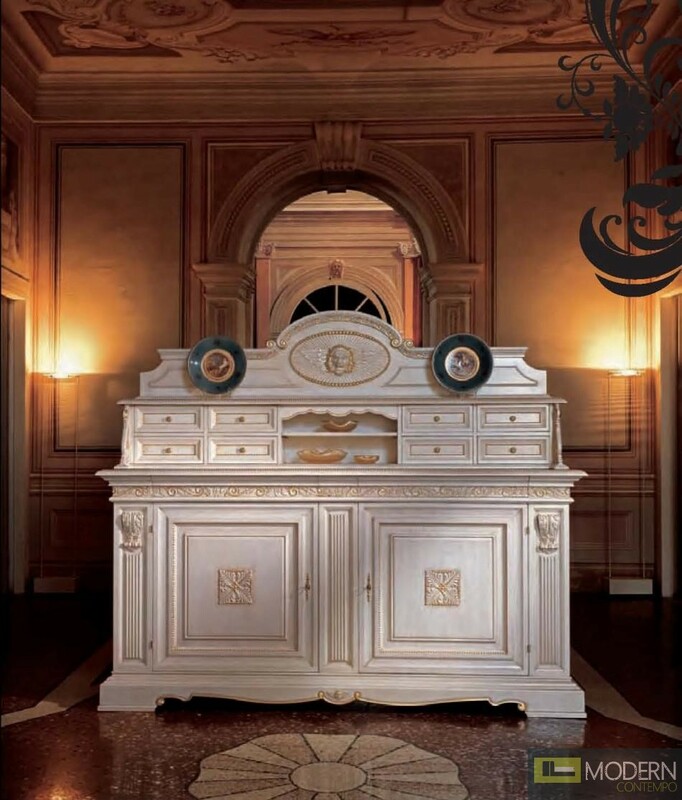 All of these pieces are constructed of the finest Italian hardwood and given a beautiful, opaque, white finish. 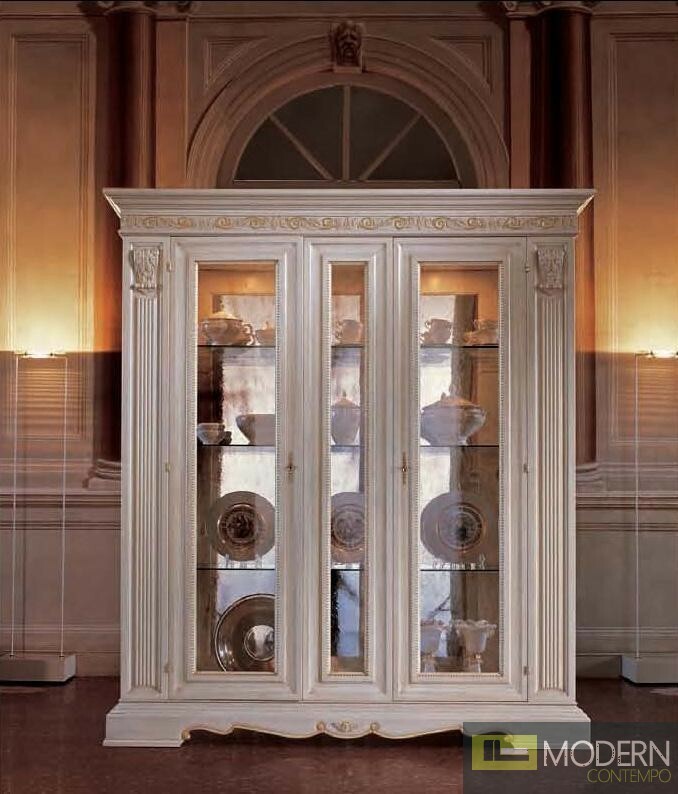 Throughout these pieces are detailed carvings and gold accents, both of which bring together the European inspired design of this collection. 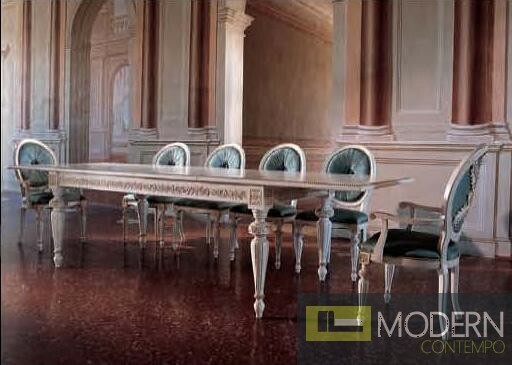 The dining chairs are upholstered in turquoise silk which is not only regal, but gives an absolutely stunning contrast against the white and gold.